Originally from France, Rémi Cousin had intended to become a chef. 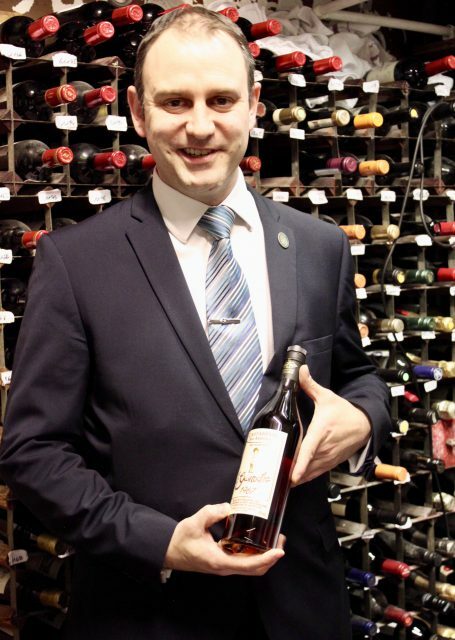 After a stint in the kitchen of the George V in Paris he decided instead to join Le Meurice as a trainee sommelier, and after tasting a Château D’Yquem 1988, his career path was set. Cousin moved to the UK in 2004 to join Hotel du Vin in York and in Bristol, before moving to Heston Blumenthal’s three-Michelin-starred The Fat Duck as the restaurant’s assistant sommelier in 2008. He remained there for eight years, during which time he won the Chaîne des Rôtisseurs’ National Young Sommelier of the Year competition in 2011. He later went on to represent the UK at the International Young Rôtisseurs Sommelier of the Year competition in Athens, where he was runner-up. Cousin joined Michel Roux Jr’s Michelin-starred Le Gavroche as head sommelier in 2016, and now manages a list of 2,500 bins, of which all but 100 hail from France. That said, during his tenure, he has doubled the number of Australian wines offered at the restaurant, including Tapanappa’s Whalebone Vineyard. He also takes pride in stocking formats and vintages that are only available from Le Gavroche. Also on the list is Chapel Down’s Kit’s Coty 2015 Chardonnay (£84) which Michel Roux Jr recently convinced his uncle, the three-Michelin-starred chef Michel Roux Senior, was a bottle of Burgundy worth thousands of pounds. Cousin holds the advanced sommelier certificate from the Court of Master Sommeliers, and is preparing for the Master Sommelier diploma. He jokes that if he could give his younger self one piece of advice, it would have been to pass his Master Sommelier exam before having children. Among his favourite food-and-wine pairings Cousin lists: Stilton and Cognac VSOP; sticky-toffee pudding with PX; and poularde vin jaune et morilles with Vin Jaune.